There are many tactics to help offset cash flow problems. For example, you might introduce new products or services that are popular during your off season. Another very effective way to enjoy steady cash flow is to use invoice factoring, a type of financing that lets you collect payment up front for your invoices. 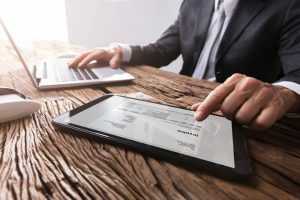 Both invoice factoring and invoice financing, more accurately referred to as accounts receivable financing, are methods that give you an advance on your customer invoices (accounts receivable).This makes a big difference to your cash flow situation, especially if you have a seasonal business. Here’s a summary of how it works. Apply for invoice factoring. In many cases, the approval process is easier than with traditional financing. To get a bank loan, you need strong credit or collateral. It’s often hard for newer businesses to get loans. With factoring, the approval process depends mainly on your customers’ credit history, not yours. Deliver your products or services as you normally would. Send your invoices to the factoring company rather than your clients. You get paid right away and the factoring company collects payment from your clients. Get Paid. You can collect up to 95 percent of the billed amount within 24 hours. If your seasonal business struggles to maintain consistent cash flow, invoice factoring can help. You can use your enhanced cash flow for any number of purposes. Invest in new equipment or upgrade existing equipment to help your business run more smoothly. Keep up with your bills and pay off debts. Launch marketing campaigns to attract more customers. Buy inventory so you’re ready for the next busy season. Aside from improving your cash flow, factoring can free up your time and resources. This is one of the differences between invoice financing and factoring. With invoice financing, you are still responsible for collections. Factoring frees you from having to do this as the factoring company takes over the collection process. You can redirect your attention to other aspects of your business such as product research, customer support and marketing. Another big difference is non-recourse factoring does not require you to take on any debt because is not a loan, it is the sale of an unpaid invoice for immediate cash. When an invoice is purchased by a factoring company, they take on the credit risk, removing your risk of bad debt. If you’re considering invoice factoring to help your seasonal business improve its cash flow, it’s important to choose the right solution. Riviera Finance has been helping all types of businesses with financing solutions for almost 50 years. With offices in more than 25 cities, Riviera provides personal attention to help you find the factoring solution that’s ideal for your business. For more information, contact Riviera Finance today.